Tracy has been following the Bitcoin phenomenon from its inception. She is cryptocurrency researcher and investor. 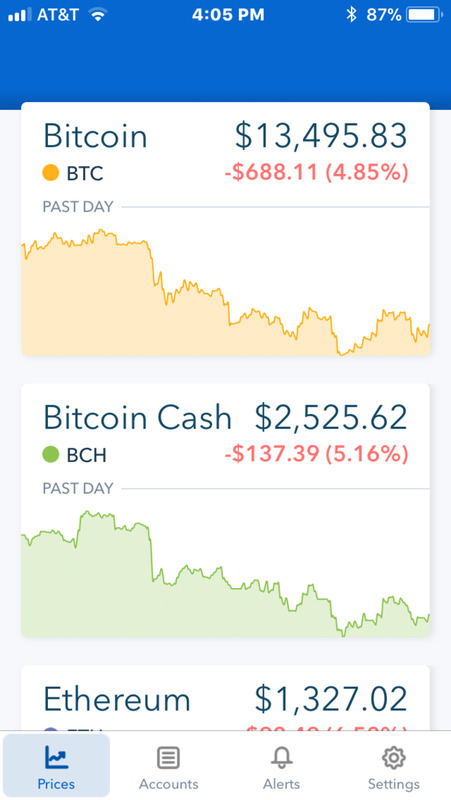 I have been buying Bitcoin on Coinbase and I have found the website to be very easy to use and I have learned a great deal in the process that I would like to share with you. First, let me tell you a little about Coinbase. Coinbase is a secure online platform where you can use your local currency, in my case it is U.S. dollars, to purchase Bitcoin as well as well as other cryptocurrencies. 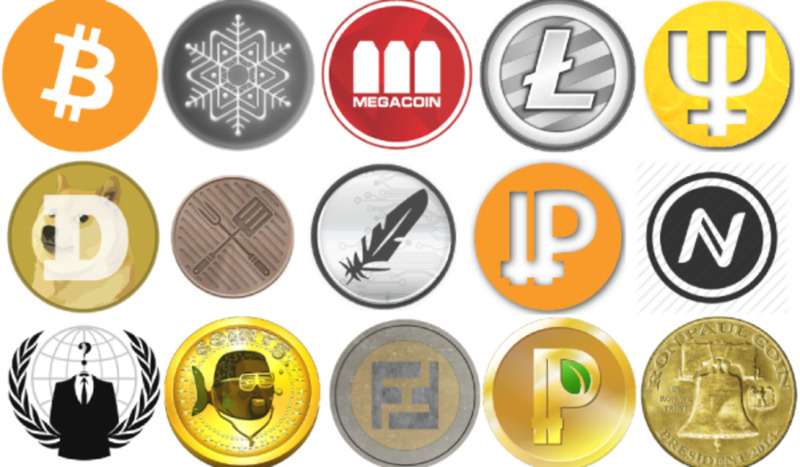 Once you have purchased the currency you can either hold onto it as an investment, use it to buy and sell goods or transfer it into other cryptocurrencies. Coinbase also adds new cryptocurrencies to their platform if these currencies meet certain standards. Coinbase has been offering cryptocurrency buying and selling services since 2012 and it grew to one million users in 2014. 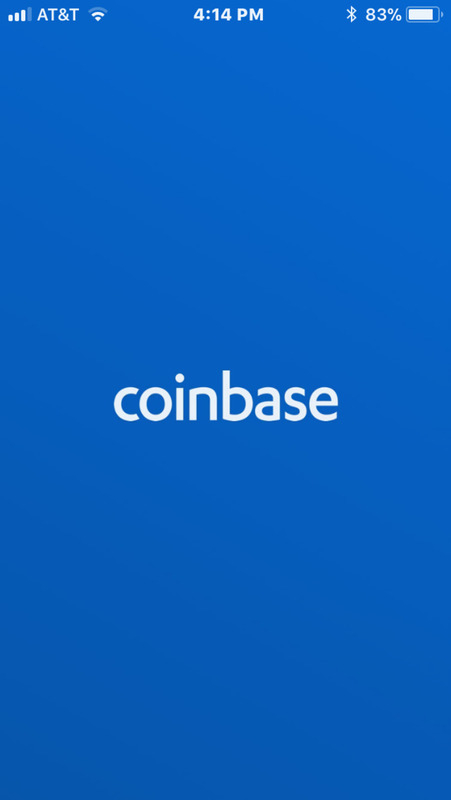 Coinbase is available in Australia, Canada, Singapore, the United States, the United Kingdom as well as many European countries. value charts for different time frames such as 1 year, 1 month and 1 day. You can set up alerts telling you when a currency meets a certain price which can work as a notification for you to buy or sell a currency. 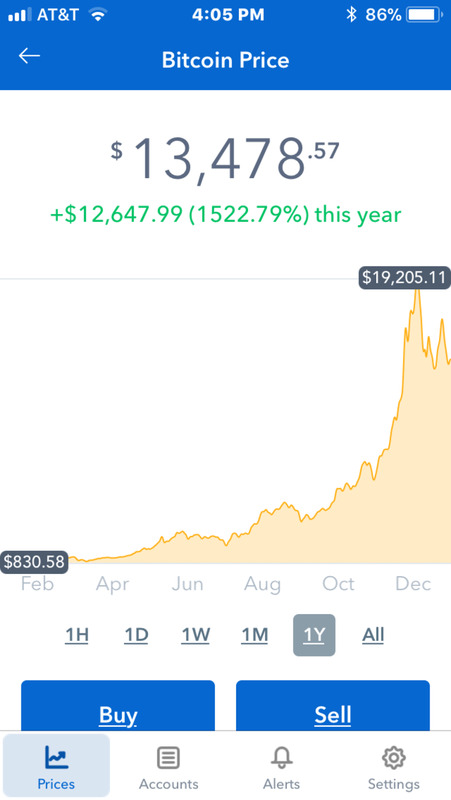 I most often access Coinbase through the application on my iPhone which I find to be very convenient. 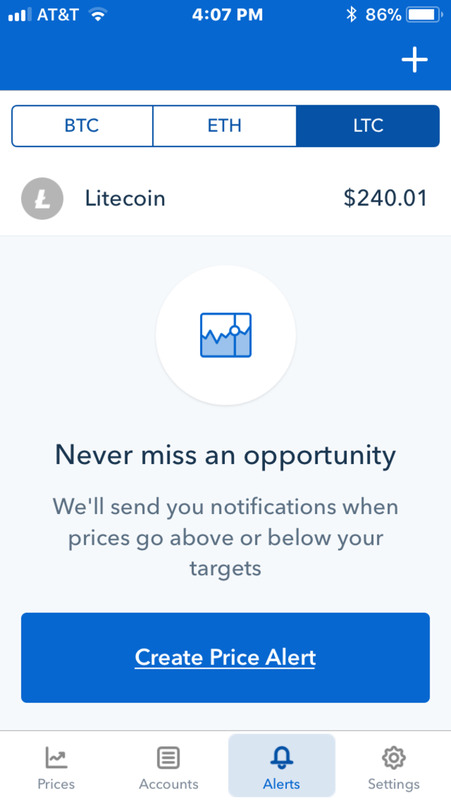 There are other platforms what will allow you to buy Cryptocurrencies using your local currency, but Coinbase came recommended to me and I am very happy with it. It is very easy to set up and use. How to set up a free Coinbase account? Visit the Coinbase website and choose to create an account. Once you enter your basic information you will go through the process of confirming your email. Once confirmed you will be choosing a bank account or credit card to link. If you live in the U.S. you can purchase with a credit card but realize that a bank account will be needed in the future when it is time for you to sell any cryptocurrency. Once your account is set up you can immediately begin buying Bitcoin and other cryptocurrencies that are available through Coinbase. Realize that there are small fees for buying and selling currency within the $1.00 and $2.00 range. I consider these small fees worth it because I have easily turned a profit on my purchases. 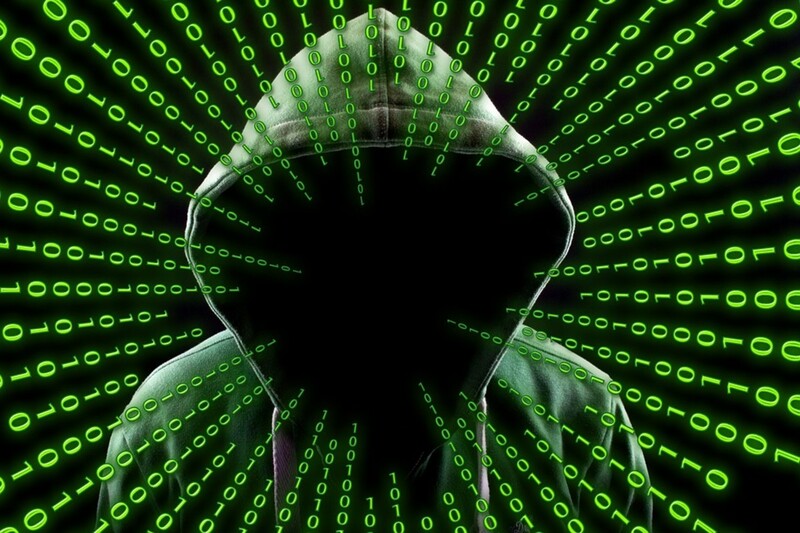 Also, realize that while many analysts believe cryptocurrency is a great long term investment and that cryptocurrency will revolutionize the way we buy and sell in a global market, there are inherent risks. The currency is volatile and you should tread cautiously, only invest in an amount of money that you are willing and able to lose. 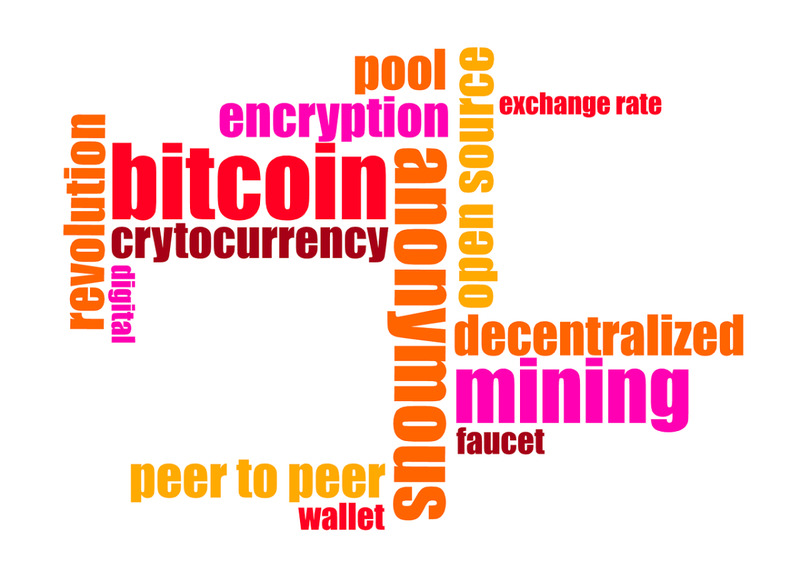 I began with a small investment of Bitcoin for $150 which doubled within a few months. I then purchased Etherium which tripled within a month. I haven’t been as lucky short term with Litecoin or Bitcoin Cash, but presently they are expected to increase in value so I am watching and waiting. Overall, I have been having great fun with the experience, it is new and exciting and if it all crashes down, I will have had fun in the process, and I am not investing anything that I will cry about losing. It's weird...bought my first crypto this year (2018). Wasn't sure which one to buy so I bought all four on their site to HODL for at least a year come heck or high water. Litecoin has shined brighter than the other three so far. However my latest bank statement says the money I paid has been returned???what? I checked the site and looks like it's all still there. It just keeps getting weirder and weirder Idk, kind of feels like they're playing around in my bank account like kids in the sandbox.